Any skill set that you want to be proficient in, to master, requires training and practice. Training is the process of receiving professional, peer reviewed instruction from one or more subject matter experts in a structured and empirical manner. Instruction provides the proper fundamentals and application of the skill(s). The instruction and tutoring that allows the student to develop a frame work and strategy to address and solve problems within that subject at a level commensurate with the instruction. More than mere memorization, proper training teaches the student to conceptualize and create new techniques and tools to address real-world situations. 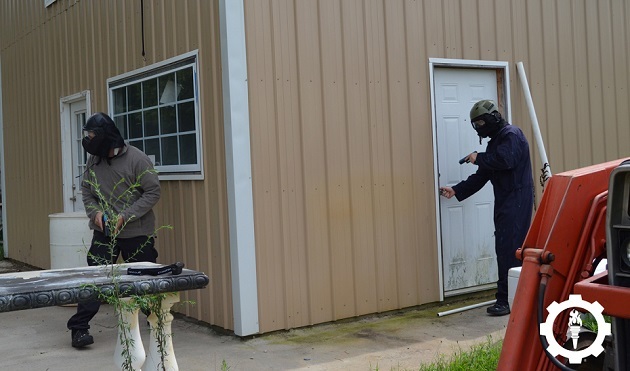 For firearms, all training should be conducted with reality in mind. Practice is the continuous and correct repetition of trained skills, concepts, and principles under end-user created conditions to maintain proficiency. Proper practice is adherence to the guidelines and fundamentals of a technique or skill without dogmatic replication of drills or specific circumstances that hinders free thinking. 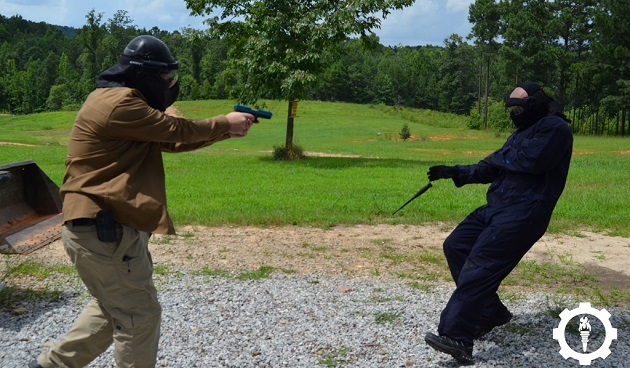 For firearms, practice is application of personal skills on a situation, problem or technique, not a circumstantial environment. In the world of firearms, more pointedly, in the world of self-defense using firearms, both training and practice are hindered in a manner unlike almost any other skill set. If you take a critical look at sports, as an example, a player knows when he has practice, knows when he has a game and is able to prepare for both. During practice, or during a game, his skills can be pushed to 100% because he is not in any unexpected danger. There are rules, safety equipment, referees and a general understanding between players and all those involved that each person will perform to the best of their ability but at the end of the day, itâ€™s just a game. Athletes are able to push to 100% against other athletes doing exactly the same. This can be said of many other technical skills, yet with firearms we have training artificialities that are either unavoidable or simply accepted because thatâ€™s the way itâ€™s always been. A baseball pitcher can practice his pitch at the top level of his performance without ever having a reasonable fear for his life. He can accurately replicate the environment and stresses of a league game without any serious problems. This is true of football, soccer and athletes in general. It is not true for the 30 year old carpet salesman, the 55 year old veterinarian or the 24 year old waitress who have decided to take responsibility for their life and carry a firearm. 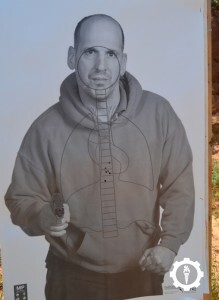 When much firearms practice is done in a 3 foot stall against two dimensional targets in a straight line, when many courses instruct against the same two dimensional targets with little or no realistic movement and little or no attention paid to the realities of close quarters shooting, realism suffers. The truth is, live fire training is hindered by its very purpose and tools. You do not go to a range to learn how to go to a range, shoot on a range or move on a range, yet it seems much traditional training is geared towards developing training skills, not real life skills. 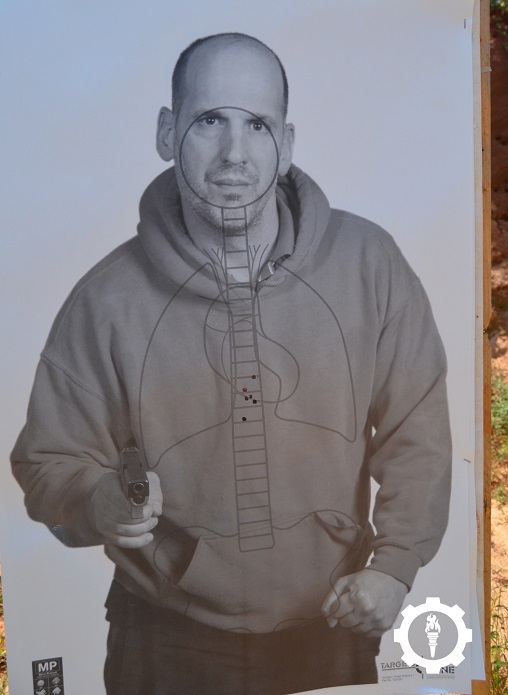 Much training is built around two dimensional targets with little or passing reference to how skills do or are supposed to translate to real life. This is as true today as it was fifty years ago. Sure, targets have become more realistic but they are still paper, still two dimensional and still (largely) do not move as most live threats have been shown to move. You must learn what weapons do, but additionally you must also learn what people do. Seems like common sense, and Iâ€™m sure more than a few people nodded along in agreement while reading the last paragraph, but if itâ€™s such common sense, why isn’t more training and practice focused on maximum realism? Where are the cost-effective 3-D targets? For the most part, they donâ€™t exist. Not because itâ€™s too expensive to produce such a thing, but rather because they’re not a part of the range mentality built on two dimensional training. Outside of a few manufacturers catering to those who want training to be as realistic as possible, the majority of designs and â€œnew conceptsâ€ continue to go into 2-D targets. You can make a 2-D target look realistic, point a 2-D weapon, or display the general location of anatomy. You can even make a 2-D target move left or right, back or forth, fall with a certain number of hits or turn sideways but you cannot make it turn true flank, or go down with quality hits to specific regions of the â€œbody.â€ 3-D targets can provide this level of realism and I use such a target in my personal practice and all courses I teach, though they have their limitations as well. Even a 3-D target cannot move realistically to cover, fight from the ground, take a hostage or work to overwhelm your ability to think with oppressive force. More pointedly, they aren’t people. You will be attacked by people 100% more often than cardboard. Your threat will behave as a person behaves, which is unpredictable. Because of this reality, training for use of force must include, as often as possible, the ability to validate skills against the most realistic threat you can get, which isn’t going to be paper. Another aspect to this is the human aspect; you simply cannot experience the same degree of stress against traditional targets as you will against a human threat. This is where non-lethal training ammunition (NLTA) systems such as Simunitions FX (and others) justify themselves. NLTA provides the citizen with something they simply have not had meaningful access to before; the chance to, as realistically as possible, face a threat and make real-time judgments on using force, reacting to force and confronting the personal experiences associated with a violent encounter. No other method of training or practice can prepare the average citizen for a real use of force like NLTA training. The weapons are real (converted to fire a training round) and the threat or threats will behave as a real threat would, which is to say they will (or may) be armed, will move, duck, speak, curse, fight, yell, scream, and will try to kill you as quickly as they can (simulated of course). Far more than a game, properly orchestrated NLTA training forces your body and mind to react as it would in an actual violent encounter. Many doubt the association between real and simulation until they experience it, and I can personally say, as can many others, that the differences between an NLTA scenario use of force and a real use of force is negligible. Your mind does not process the â€œgameâ€ aspect of it, and instead simply focuses on solving the problem before any reflection can be made on the â€œrealityâ€ of the situation. On a live fire range, we are restricted by common sense safety rules, and sometimes by rules that make little sense at all. Most ranges allow fire in one direction, many allow little or no movement and most of the ranges I’ve been to were designed with 2-D targets in mind. With NLTA, we can embrace the reality of threats coming from any direction, in any setting at any time instead of building drills to replicate situations but being forced to stage the shooter and have them â€œgameâ€ the beginning of the drill (such as facing movements). Another priceless aspect is the actual human interaction between threat and citizen, or potential threat and citizen. You can â€œimagineâ€ a cardboard target complying or ignoring your warnings/verbal commands, or you can face a role player that will drive the message home. More than any other physical training, NLTA reinforces perhaps the most valuable lesson to learn, and that is that real threats donâ€™t often go down with a neat double tap or even a drilled â€œMozambiqueâ€ and sometimes when they do, they get back up. When it comes to the physical and mental stresses of a use of force, there is no superior training system to inoculate the citizen to stress. Artificial stressors such as sprints, pushups, a yelling instructor or rapid threat drills (under time) can induce an objective difficulty, though they very rarely activate your bodies Sympathetic Nervous System. When your SNS activates, you will experience, to varying degrees, motor skill degradation, tunnel vision, auditory exclusion, perceptual narrowing, hyper vigilance, chronological distortion, decision/action loop, pupil dilation (which makes the use of sights near impossible) and a number of other conditions that may be unique to you or only a small fraction of individuals. But you canâ€™t know this until it happens, and itâ€™s not going to happen standing still and shooting paper. Now, some may say, “well we’ve been doing fine without this training” and to them I would say no, you havenâ€™t. In the military and in law enforcement, training evolves based on the loss of blood. When people are killed in violent encounters, trainers look to find a way to prevent it from happening in the future. Techniques that are proven not to work are discarded or modified to increase effectiveness. Depending on our war time conditions, these evolutions come from LE or from the military and slowly trickle down to the citizen provided that instructors aren’t so hard headed that they ignore them. We have seen the Weaver Stance come and go based on science and lessons learned, we have seen room clearing techniques such as the Wall Flood begin to fade away, we have even seen low light techniques evolve in response to greater research into the human eye and increases in technology and we have even seen simple malfunction drills face reality and be modified because they taught a bad habit (tap-rack-bang VS tap-rack-reassess). Yet for all the forward movement, we still have shooters standing still on the range shooting 2-D targets because those teaching them cannot appreciate a better way, or simply donâ€™t care to step outside of their comfort zone to explore it. Sure, traditional training methods have produced some excellent shooters, just as the Model A was an excellent improvement over the horse. If we were satisfied with the level of transportation the model A provided, why do we have such an amazing technological marvel as the Ford F-150 today? Everything else evolves based on demand, it’s time firearms training did as well. My personal and professional feeling is that realistic training shouldn’t be restricted to those who carry a weapon occupationally. Much training is taken from the military and LE and adapted to the citizen, whereas the amount of training that is organically developed for the citizen is much smaller by comparison. Iâ€™m not the first person to realize this, but itâ€™s still a small minority. Because training at the citizen level is an individual issue (literally who you want to train with, or what your state requires for CCW) you have the option to pursue the most realistic training possible without waiting on an administrator or faceless officer in the Pentagon to decide it a good idea. I like to think that learning a better way to win a gun fight is always a good idea, seems that some desk attendants disagree. With varied scenarios and an instructorâ€™s attention to realism, a single NLTA course can give you an invaluable mental tool and that is the ability to face a real threat, feel your SNS activate and know Iâ€™ve felt this before, I know what it is and I know how to work through it. Not only that, backed with proper education on what you will experience before you actually experience it, will mentally prepare you to fight and win with a higher degree of success than just training and practicing against paper. Donâ€™t get me wrong, live fire has its place (after all, we need to know how to use a real weapon, not just one converted to fire training ammunition) but the realism of live fire will never be the same as NLTA, and it can only come close if instructors begin to adapt their instruction to be as realistic as possible. Train for reality, because that’s where you will fight. Today we welcome Aaron Cowan as a new contributor here on Monderno. 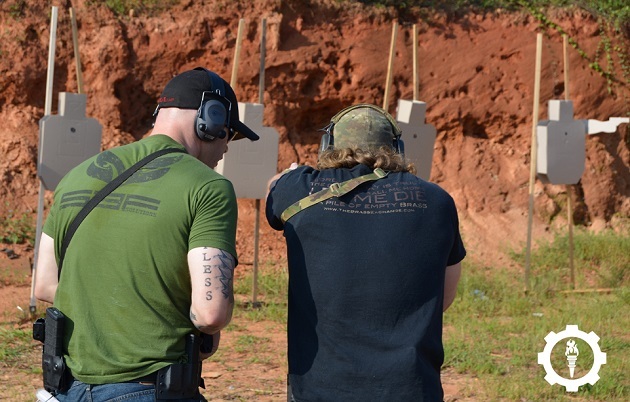 AaronÂ is the Lead Instructor forÂ Sage Dynamics, a reality-focused firearms and tactics training company that provides practical instruction from the fundamentals to advanced skills for civilians, police and military personnel. Aaron served in the US Army as an Infantryman, as a private security contractor overseas and as a police officer. In addition to patrol he worked as a SWAT team member, SWAT deputy team commander, SWAT sniper, sniper section leader and in-service police training officer. You can learn more about Aaron here. Gun Control Coming to Virginia? In depth and enlightening , thank you. Have to agree with the desire, but the practicality is called into question. In my time in California, all the available ranges had limitations such as no work from a holster, no more than 1 shot every 3/5 seconds (depending on the range), no ‘head shots’ on targets (to preserve their hangers), all of which make even the most basic range trip virtually useless, even to an NRA Bullseye shooter. Throw in exactly HOW to go about NLTA, and you’ve got some issues. Where is a civilian going to have access to Simunitions, and be able to afford enough of them? Airsoft is a bit of a step in the right potential direction, but lacks the, as I believe Col. Grossman puts it, “Bang bang owie owie” aspect. I know of a few training facilities which have a setup, but for much of the country, that’s a considerable trip and expense to visit even once, much less making it a regular part of training. Coming technology may offer some ideas…perhaps 3D printing might reach a point of having reusable materials, so creating a 3D target that could later be melted down and reprinted might give us something more than cardboard to shoot. A few groups have targets rigged up to remote control capabilities, so the two combined might offer some headway. Maybe there’s a business opportunity for a travelling simunitions course (or similar…someone really needs to come up with a competing alternative…anyone recall the MOD-85 paintball gun that was powered by a primer and fired paintballs from plastic casings?). So overall, I agree with your proposal that improvements are needed for training, but would be interested to hear more about ideas to make it more feasible. Unfortunately Simunitions is a restricted purchase item that requires a Simunitions Instructor certification or an individual purchase as a LEO. Due to the inherent liabilities with such training systems, that is unlikely. It has only recently been made available for citizen level training, it was mil/LE restricted for decades. There are already cost effective 3-D targets on the market such as the Targets Online Tac Drop UTC (and others) that cost around $1.50 a piece and hold up for a few hundred rounds of fire. With the addition of clothing and balloons (in critical areas inside the target) you have a cost effective target that s hit responsive and 3-D realistic. Of course there is room for 3-D improvement, but the market has to demand it before prices will reflect it. Range rules are also unlikely to change due to insurance requirements on public access ranges and the general litigious nature of our society. When I lived in California I would take the hour drive once or twice a month to shoot freely on public access BLM land where it was allowed and when forced to use an indoor range, I focused on fundamentals practice. The solutions are much harder than the problem, especially when we take into account the resistance to change in the industry when it comes to certain training methods, cost, and of course the end users willingness to pursue professional instruction when they are able. 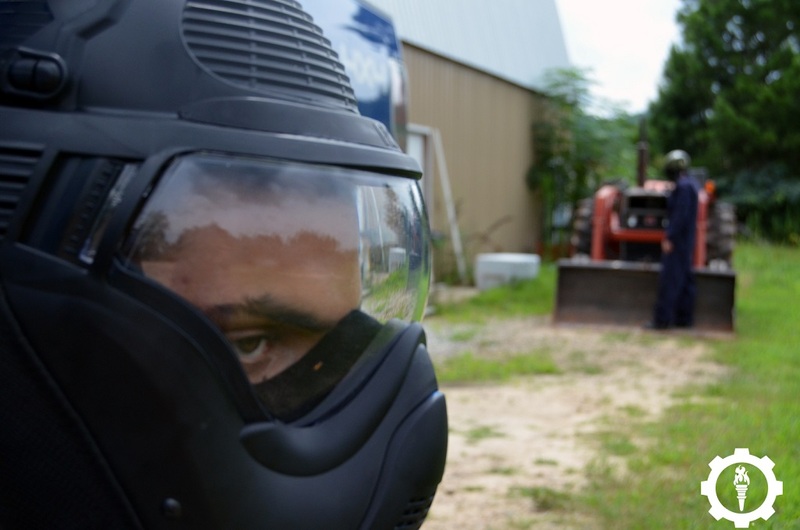 Air soft does serve as a substitute system, though it is a poor one in regards to the physiological and psychological experiences that can best be replicated under a system like Simunitions. Having trained and been trained with both systems, I find that the “reality” under air soft and paintball does not compare, though I (and others) are at a loss to explain exactly why Sims feels “real” and air soft, for the most part, doesn’t. 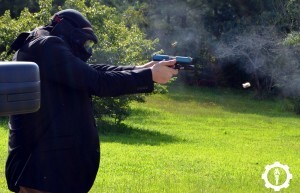 More realistic training requires more investment, from slightly higher target costs to simple gas money to drive to an area where you can practice realistic movement (and if you aren’t close to such an area, you must rely on dry-fire realism focused training, which is something many shooters will admit they don’t do enough of). That said, many would be best served by making that investment when they are able and maximizing their dry fire practice time to focus on realistic movement and threat confrontation skills. And on a final note, from a instructors point of view, the investment in the Simunitions training system (conversion kits, safety gear, certification, etc.) is substantial, especially if the market isnt ready for it or doesnt know about it. The more demand for such training, the more it will be offered and the lower the end users cost will be. Ill be the first to admit I dont have all the solutions to the problems, though I will continue to try and find them. Really good read, thanks Aaron. Sim training has been on my wish list for a while now, tough to find it though. What about using airsoft for reality-based training?